Many people think they can find a job first and then apply for a permanent or temporary visa. You will find that it is virtually impossible to get full time employment without having permanent residency or temporary residency. Do not let this discourage you. Seriously look into formally immigrating if you want the best chance of getting gainful employment. Australia Immi gration Law and Citizenship laws are Federal law are complex and at any given moment, subject to change and review by the Department of Immigration and influenced politicians, the economy of the country and by other government bodies. It takes a trained professional with a great deal of knowledge and experience to find the right path for you to enter the country of your choice. James Cagney is the founder of the International Immigration Alliance (TM) and he has over twenty five years of experience in migration. Do not have the misguided impression that life and living in a new country in any way resembles the life you lead right now. Visiting a country is very different to settling in a country. Get professional advice because your qualifications, work experience and business track-record is unique to you and yet has to fit into the stringent legalities of government imposed migrant visa classes. As a registered Migration Agent in Australia James has to follow the strict Code of Conduct imposed by the Migration agents Registration Authority (A). To access the MARA website and Code of Ethics click >>>>HERE. Unfortunately, the profession is plagued by so-called experts and some opportunistic and morally-bankrupt "consultants." Many offshore so called Immigration Consultants are not registered with MARA. Therefore you have no recourse if the give you the wrong advice or take off with your hard earned money. This will not only cost you dearly but may jeopardize your chance of re-applying. Check the MARA list of Registered Agents before handing money over to con-artists. People also mistakenly take advice from their family and friends in regards to their potential to successfully migrate. Whilst they may well have succeeded in obtaining their own migration status through one type of visa, they are not aware of any up-to-the-minute immigration policy since imposed and of course, your particular and individual migration requirements which is most cases different although on the surface it looks the same. In our experience no application over the past 25 years has been alike. Remember the Titanic - it was generally accepted that it was unsinkable. Other unqualified people have opinions rather than facts. Find out the facts about your immigration plans will follow the same fate as the Titanic. The International Immigration Alliance (TM) has assisted thousands of families in successfully migrating to the country of their choice. James original migration office in South Africa and London are now independently owned and operated by Relocation Alliance cc and continues to handle migration through licensed professionals in Australia, New Zealand, Canada, the USA, and the UK. We have associates who are licensed for New Zealand immigration that we will refer you to by clicking>>>>HERE. 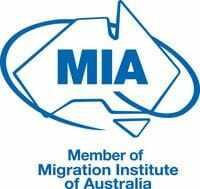 James is a long standing member of the Migration institute of Australia and abides by the strict "CODE OF CONDUCT" which all members must abide by. For a FREE initial assessment of your chances of successfully migrating to the country of your choice, you need to complete a questionnaire. Once we have determined which visa category best suits you and your family, we will provide you with a quote based on your specific visa class eligibility and preferences. 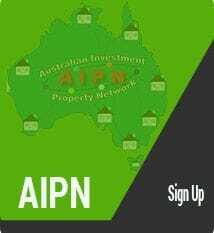 To request your FREE initial assessment, please click HERE. Certificate IV in Immigration Law for Migration Agents and is a Registered Migration Agent (No: 9900101) and the founder of the International Immigration Alliance. James can be contacted by mobile: 0416 137 645 or through via his website: www.jamescagney.com.au . James has written two other eBooks you can access by clicking >>>>> HERE. Other eBooks you can access by Internet guru under James Cagney's license is Brett McFall's by Clicking >>>>HERE. The 7 Ways to increase business in tough times. This eBook "The 7 Tactics immigrants can use to find the right job in Australia" will assist to become a successful job seeker and resident of Australia.. Many migrants never get over the emotional stress after leaving their country of birth because they have strong family attachments. You will need to build a new life and decide to move forward and make the best of your new homeland. Australia has a hi gh standard of education and skills. The Government has low cost loans for students for tertiary education. The universities and technical colleges are internationally recognised for their high standards. There are apprenticeships readily available and employers receive government assistance for each trainee or apprentice they employ. Many immigrants have degrees and expect to come to Australia and find employment immediately and at a salary they demand. Well, as many migrants relate, that did not happen when they first arrived in Australia. The major issue is that Australian companies want work experience. It's a chicken and the egg scenario which came first? Most migrants do not have the option of working for nothing to gain work experience but new graduates in Australia do and so the competition for jobs are fierce.It is vital to prepare a suitable resume which will contain your qualifications, your expertise and your unique skill set. Always include any situations where your contributions have benefited the employer, consumer or efficiency of your profession. Ensure that you are fully prepared for your interview. Conduct research on any company where you will be interviewed so that you will be knowledgeable and confident. Unfortunately your expertise in any overseas country is not likely to be beneficial unless the company you worked for is an international, well known company. You are going to need advice and support in this regard and James Cagney can assist you. Call James Cagney at: 0416 137 645 or go to www.jamescagney.com.au. TACTIC 2 Know when and where to start looking. Finding the right job for many migrants is a daunting and challenging experience. Employers usually prefer "Australian experience" and "Australian qualifications". Obviously most migrants do not have that. You should have done a Qualification Assessment by an industry body before arriving in Australia. There are numerous industry "tickets" and 'Health and Safety" certificates required to be able to work in Australia. Plus resumes are very different in Australia to that required in other countries. Unless you have a unique qualification or highly sought after skill it is unlikely that you will be offered a permanent job in Australia without a visa that allows you to work. If you do not have a Permanent Resident (PR) visa which allows you to work you need to be in Australia so you can make yourself available for interviews. The labour laws in Australia favour the employee and it is difficult to fire someone without just cause and employers need to document several warnings before they can fire you. Therefore most employers exercise extreme caution and do their due diligence in recruiting staff. There could be numerous interviews before a formal job offer is presented. Therefore if you are visiting Australia on a job seeking mission you need to make s ure you allocate sufficient time in the country. You can not be wishy washy with employers as to when you intend settling in the country. Many migrants who have been offered a job in Australia have arrived before the rest of their family so they can settling in, find an area they want to live that is convenient and schools. A good place to start is the biggest Australian employment website on the Internet that will give you insight of what is available is Seek (http://www.seek.com.au). Once you have had a good look at what is available on seek you can send your resume to employers and agencies. "Tactic 3" will give you ideas on how to write up a Resume that will get you noticed. Please note that many Australians are professional job seekers. Despite these job seekers are gainfully employed they send resumes for jobs that will give them more money or prospects for promotion. Some do it so they can negotiate a salary increase with their present employer. That means you are competing with Australians. Then you can you can go to the job adverts in the Australian national newspapers. Below is a list of the larger newspapers rather than the local and regional newspapers. The number of jobs available will be greater in these newspapers. Don't be disheartened if you are not getting a positive response from employment agencies. Remember they only make money when they place people in actual jobs. They are also concerned that if they do not send suitable candidates to the employer they may look for another employment agency. If you are not in the country and ready to start the job within a reasonable period they will push the candidate who is able to do this even though you may be the right person for the job. 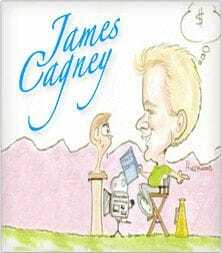 Go to www.jamescagney.com.au and you will find a scenario of what it is like to immigrate to a new country, which you will find essential in assimilating into your chosen homeland: i.e. Too many people have a sense of entitlement. They get an education go to TAFE or University and expect the employers to employ them regardless. It is like studying for a diploma or degree putting it up on the wall and saying to it "I have worked for you now you work for me". Well it does not work that way. Many immigrants have degrees and expect to come to Australia and find employment immediately and at a salary they demand. Well many migrants will tell you that did not happen when they arrived in Australia. The major issue is Australian companies want work experience. It's a chicken and the egg scenario what came first? Most migrants do not have the option of working for nothing to gain work exp experience but some new graduates in Australia do this. What I am saying is that new graduates should offer their services for nothing so they can gain work experience. However, the indignation of working for nothing and that sense of entitlement make many young graduates reluctant to do this. They can of course go and wait on tables and earn a reasonable amount because of Australia's legislated and generous award rates. What this has done is waste the potential of many young Australians graduates who have taken up unskilled jobs so they can make money. They then have to pay back their HECs for a qualification they did not use. What a waste of money. If the company sales are down from previous periods you can show them how you can assist the company to increase sales. If the company is in the process of restructuring show them how you fit into the structure. 2. Many of the applications are from people who are repetitive job seekers and the interview is routine and do their homework on the company. 3. You will stand out because you have taken the time and effort. 4. Even if you are not the most qualified to do the job your first impression will hold you in good stead. 5. Doing your research will give you insight on how to word your resume and offer the benefits to the company of employing you. You are in competition with many other and professional job applicants and you have to STAND out from the herd. I am sure you have heard that first impressions are lasting impressions so do your homework. (1) If collar and tie is the norm wear a smart suit. If open shirt is the code wear a tie and jacket or suit. It is about first impressions, self-respect and respect for the company. Let the employer tell you about their dress code. (2) Have a haircut (or head recently shaved). (3) Make sure your shoes are polished and suit and shirt pressed. (1) No low cut revealing garments. (2) Business attire as you can never be overdressed for an interview. (3) Neat hair and if you wear make up - not overdone. (4) Ask the receptionist about the dress code (you need an ally within the company and a receptionist is a great resource of valuable information). Resumes in Australia will differ from what you are used to back home. Employers and recruitment companies in Australia do not initially want to know about your hobbies, primary and secondary education, memberships to organisations and clubs and past job history. They want to know how you can be of benefit to them and how quickly you can do this. You need to get the readers' attention so give a brief summary of 150 words max what job you are applying for and how your skills fit the job description. Do not be humble here believe this is the job for you and you deserve it. Tell them when you are available for an interview and when you will be able to start the job. Now go into greater depth what skills you have that will make a big difference to the company's performance. Give a brief description starting at your latest position. Make sure the description is relevant to the job. Leave out experience that is not relevant to the job. Let them ask you what you did at the interview. Status: Permanent Resident / Citizen of Australia. Work History: Only give the work history that is relevant to the job description required. Personal Goals: make these relative to the job description advertised. 1) Name" and number your pages in-case your resume is mixed with others when the photocopy or print. 2) Do not be afraid to talk up the reasons why they should employ you. If you get the job it is an opportunity to step up to the position on offer. You may well surprise yourself..
3) Most companies will put you on a probationary period which can vary from three to six months. So give the job your all. If you would like us to help you with your Resume contact james@irps.com.au and we will give you a quote for a completed Resume. I respect that you may have qualifications, skills and experience but you need to get off your pedestal. Australians like you to be assertive but not arrogant. You are probably one of many that have applied for the job and you have to stand out. You need to accept that you are the best "Sales person" to convince the employer that you are the person for the job. 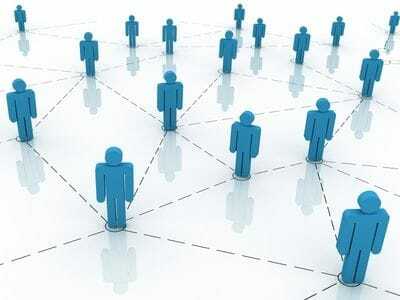 However, many professionals' do not want to classified as a "Salesperson" because of the stigma around sale people. If you think this is beneath you, you will lose out to less qualified applicants who know how to sell themselves. Your potential to assist the employer to reach their goals and objectives is paramount but you have to sell your ideas. I have a saying "That if you do not blow your own trumpet who will?" So learn the skills of a professional salesperson. There are numerous articles and books that will give you valuable tips on how to sell. So you have no excuse that you are not a "salesperson" and you can't sell yourself! One of the essential character traits of successful sales people is PERSISTENCE. Professional salespeople have hard skin. They do not take rejection personally. They use rejection as FEEDBACK and a stepping stone to improving their sales pitch. They phone the buyer and ask why they did not succeed in getting the sale. They take the feedback "objectively" and learn from it. Sometimes this call gives them another chance of getting a sale now or in the future. So do the same and ask for feedback when you do not get the job. You never know the applicant they picked may not work out and you could then be next in line. referral to another company that is looking for staff. In sales we say "If you don't ask - you won't get'. If an employer asks you to get back to them on a certain time and date make sure you do just that. Set alarms on your phone or calendar to make sure you do what you said you will do. TACTIC 6 - Interviewers have their own agenda so ask them what their goals are! Most large companies that have a Human Resourses department and there may be a number of interviews before the company makes a decision as opposed to smaller companies where the employer or manager do the initial interview. Good sales people know that they have two ears and one month and they are to be used in that proportion. Realise that most employees in a company have their own agenda and you need to help them achieve that. For example, the interviewer may be new to the job or company and reluctant to make a mistake. Or, the interviewer is looking for a worker and not someone with big ambition and put their job in jeopardy.
" John, I would like to work for a company that will give me long term security and career options. How long have you been with the company and what career opportunities were you given". Fair question and an opportunity for the interviewer to talk about himself. Sometimes you have to play yourself down so you don't become a threat to the supervisor or manager interviewing you. Many people are insecure and do not want assertive, go-getter's on board in case they lose their job. By asking the question above you will find out what the interviewers goals are and then you can show them how you can help them achieve their goals. It is not about you it is about them after all they have a job. "Thank you for the opportunity John. Who will be interviewing me? (wait for response) That's great. John, I always like to be fully prepared so please tell me what (name) will be looking for when he interviews me?". Fair question and If you don't ask, you won't get". Now that you have the job you need to keep it. This may be harder than you imagined even though you have performed well in the job. Company politics is rife in many organisations and you will learn to learn the rules very fast if you are going to survive. Australians have fought in two world wars at great loss of men. Gallipoli during the World War I is a well documented about the reckless loss of life the Australian and New Zealand Army Corps (ANZAC) soldiers suffered . Soldiers formed a bound amongst men called "Mateship" and would look after another mate at all costs. Australians celebrate this "mateship" through ANZAC services and parades and through the numerous Returned and Services League of Australia (RSL) clubs and care facilities throughout Australia and New Zealand. This "mateship" has continued over the years but now it's going to the "Footy" (Aussie rules and Rugby league) and the Cricket together and having a few coldies (beers) together. This follows through to the work place and mates (colleagues) will look after each other at your expense if needed to. Young girls form relationships similar to "blokes" (males) and call them their "girlfriends". Like "mates" they form lasting friendships and will look after each other. In the workplace this will happen as well so make sure you tread with caution. For both men and women do not talk about anybody in the workplace and particularly your boss because there is a good chance they will "dobbed in" (tell on you). Company politics within companies in Australia are common place and you will have to learn to play the game as quickly as you can. It is often hard to initially m ake good allies. Australians may not admit it but they are "clicky". There are many entitlements enjoyed by employees which management may not like but have to put up with. Smoke breaks called "smokoos" are common and employees will have to leave the building or go to designated areas to smoke and 5 to 10 minutes a number of times a day is not unusual. Try and avoid these groups even if your immediate boss is a smoker. He or she will have their own cronies they hang out with. Be prepared to go the extra mile and do not be sucked into their games. Just do the job that is expected of you. Try not to put one over your colleagues as Australians do not like "Tall poppies" . You may need to initially play it safe as not to stand on the toes of your colleagues. Study the Australian employment legislation and regulations so you know your rights. Carefully read and understand your employment contract before you sign it. Fortunately there are many law firms in Australia that make their living out of "workplace" problems. Although membership to Labour Unions has diminished over the years check to see if there is a Union in your workplace and do your research on whether it is worth joining. There is a complex Labour Hire and Workplace Relationship regulations. You could be employed on a permanent basis, Permanent part time basis, casual basis and on contract. Go to this website to find out more Workplace Relations in Australia | Department of Employment. There is a trend over the past few years for employers to work through labour hire companies. This gives companies more flexibility to hire and fire and they do not have to be too concerned about workplace relations and solicitors. They also do not have to be concerned about paying you superannuation, pay you for "sickies" (allowable sick days allowed by legislation) and paid holidays. The reality is you may have to take a contract before you are offered a full time job so be prepared to do this. Whilst you are on contract agitate for a full time job. The information contained in this eBook is not a substitution for Professional Immigration advice and only contains information of a general nature. The contents of this eBook contains information which been prepared by James Cagney, founder of the International Immigration Alliance ® . James has successfully completed the "Immigration Law for Migration Agents" course from Deakin University Australia and a Registered Migration Agent (No. 9900101). James is also a long standing member of Migration Institute of Australia and as such must meet the stringent "Code of Ethics" of the organisation. The information contained herein is strictly of a general nature and does not take into account any specific individual's personal situation, aims or objectives. It is imperative that you consult a professional about your specific plans before leaping into the unknown by applying for a temporary or permanent Visa to Australia. James Cagney or any associate company assume no responsibility for any actions you take independently, without seeking professional advice from a licensed Immigration Agent. The objective of this eBook is to ensure that the information regarding the tactics you can use to get the right job in Australia is available at no cost to you. However get professional advice when considering immigrating to a new country. Contact James Cagney on +61 416 137 645 or go to www.jamescagney.com.au.